Workers and retirees from the U.S. and Canada will be attending General Electric’s annual shareholders’ meeting outside of Pittsburgh tomorrow. GE has signed the United Nations’ Global Compact to meet fundamental responsibilities in the areas of human rights, labor rights, environmental stewardship and good governance. 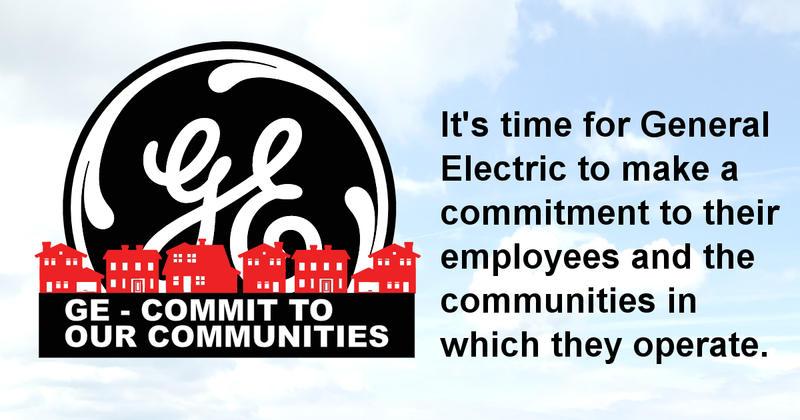 Workers will be speaking inside the meeting and holding a picket and press conference outside to demand that GE implement those commitments in concrete ways that will support local economies, respect workers’ rights, and practice environmental stewardship. The picket is being organized by the North American Solidarity Project, a joint campaign of the U.S. union United Electrical, Radio & Machine Workers of America (UE) and the Canadian union Unifor.